Japan 08. Pictures from shows in Japan. Wallpaper and background images in the Simple Plan club tagged: simple plan david desrosiers pierre bouvier chuck comeau jeff stinco seb lefebvre. 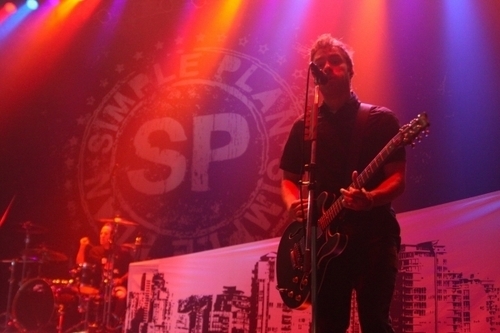 This Simple Plan photo contains concert and gitarist.